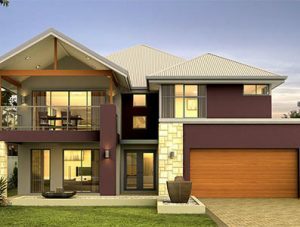 Home » Luxury Homes at Only a Fraction of Luxurious Prices! It Can Be Done! Is it possible to create a luxurious home on a not-so-luxurious budget? Absolutely! Luxury home builders can charge you exorbitant amounts of money to build a designer home with immaculate interior decorating, the kind of home most people only dream about owning. In fact only a small proportion of the population will ever set foot inside these designer homes, but that doesn’t stop us wanting to emulate their beauty. Well the good news is that you can achieve a luxury home on a tight budget. Perth luxury home builders don’t just cost a fortune they also know all the tricks to creating an extravagant interior feel. But by doing your own research on the internet and by browsing interior design magazines, you can get this luxury look in your “standard” home for a fraction of what a luxury home builder would charge. Here are a number of ideas you can use to spruce up your home and start living the luxury home life! The first tip is to keep fresh flowers in vases around your home, they don’t need to be bought from a store though- pick some flowers from your garden or ask your neighbors if you can pick some of theirs. The simple touch of fresh flowers adds sophistication to the home. Many elegant, expensive homes are flooded with natural light and have high ceilings. You can emulate this appearance (without having high ceilings) by hanging curtains as high up as possible, the closer to the ceiling the better. The idea behind this is to draw the observers’ eye upwards, giving the impression of a loftier space. Get the luxury look in your bathrooms and laundry by using matching storage containers for soap, shampoo/conditioner, hand creams and shower gel. This just elevates the look and gives the room a touch of class. You can do this in the kitchen too with soap, dish-washing liquids and so on. Most professionally decorated spaces use art to style up bare counter tops, walls and spaces. You can do this too without spending thousands on vignettes or wall hangings. Ceramic statues, paintings, picture frames, vases and figurines can all spruce up an empty spot and as long as the space doesn’t appear too cluttered these items can add another touch of elegance to your home. There are many ideas you can use to upgrade your home from “standard” to “opulent” without employing a luxury home builder to build a mansion or hiring an interior decorator. All it takes is a bit of research, a bit of manual labor and of course thrifty buying of accessories to transform your home into a stylish designer home.